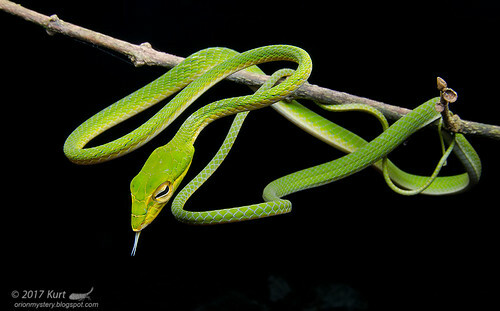 All about wildlife photography - insects, frogs, lizards, snakes. It is that time of the year to round up some of my favorite images taken in the year of 2017. 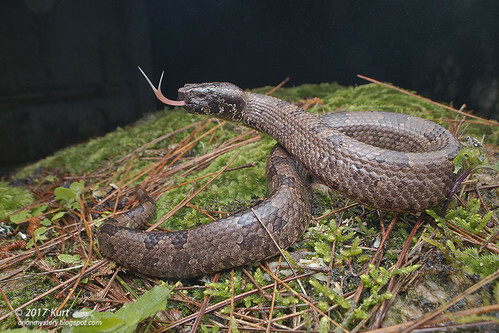 Again, lots of herps (amphibians, reptiles) this year. Mostly taken with the Laowa 15mm. 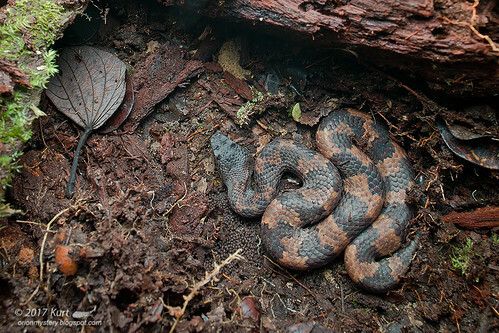 One of the coolest herps from the Nov 2017 Borneo Herp Tour: Red-headed Krait (Bungarus flaviceps baluensis). Extremely shy too! 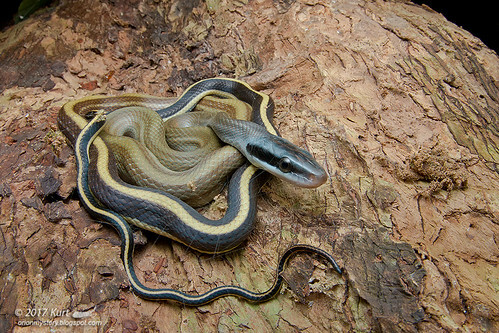 Cute lil Three-banded Bridle Snake (Dryocalamus tristrigatus) from Sabah, Borneo. 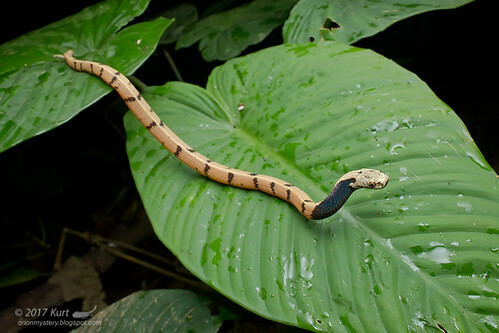 Black-headed Cat Snake (Boiga nigriceps) from Poring, Sabah, Borneo. 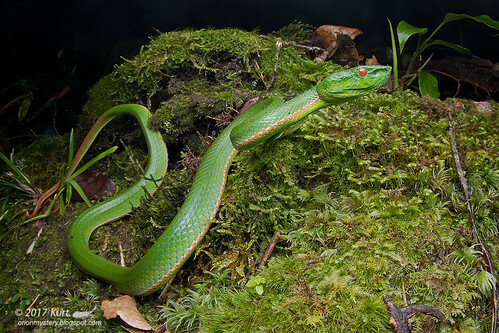 Male Sabah Pitviper (Trimeresurus sabahi) from the montane forest of Sabah, Borneo. 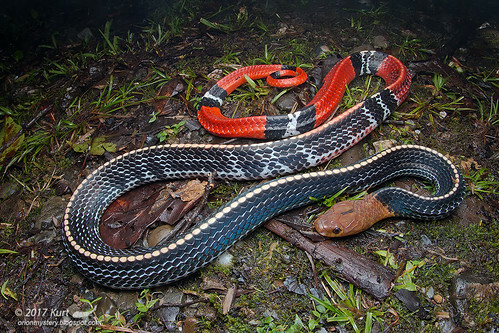 Gunung Inas Keelback / Mountain Keelback (Hebius inas / Amphiesma inas) from the highlands of Pahang, Peninsular Malaysia. 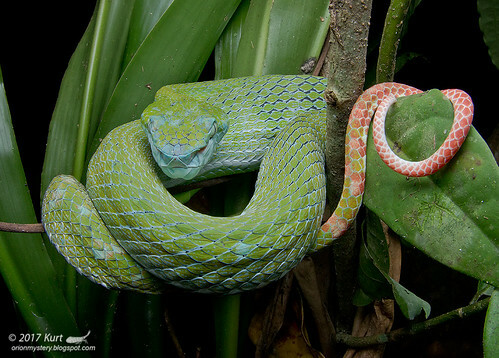 Cameron Highlands Pit Viper (Trimeresurus nebularis), highlands of Pahang, Peninsular Malaysia. 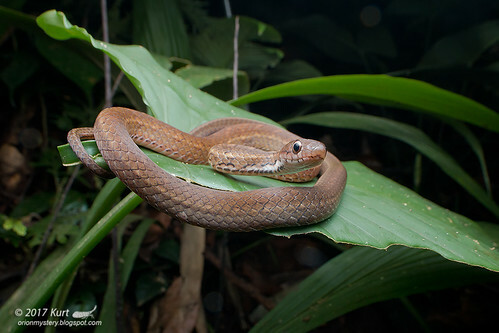 Cute little Smooth Snail-eating Snake (Asthenodipsas laevis) from the montane forest of Sabah, Borneo. 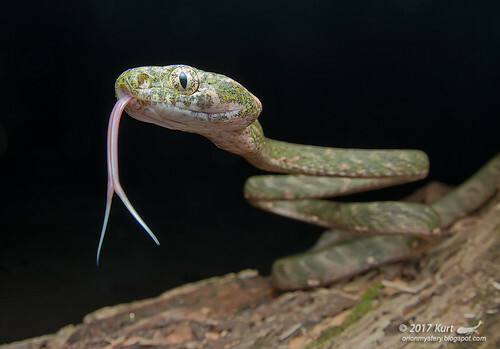 Gorgeous little Big-eyed Green Whip Snake /Malayan Vine Snake (Ahaetula mycterizans) from the lowland forest of Peninsular Malaysia. 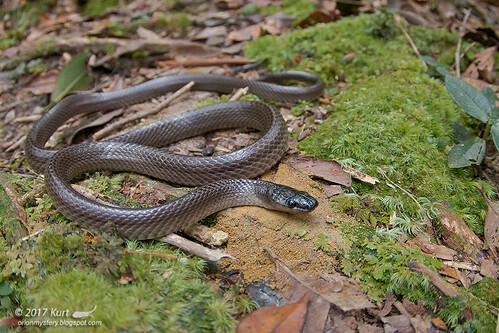 Bornean Black Snake / Borneo Frog-eating Snake (Stegonotus borneensis) from the montane forest of Sabah, Borneo. 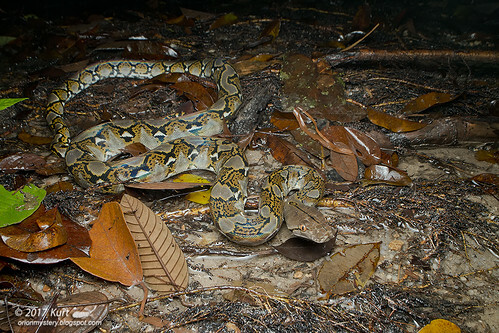 A surprise find during our final night at the montane forest of Sabah. 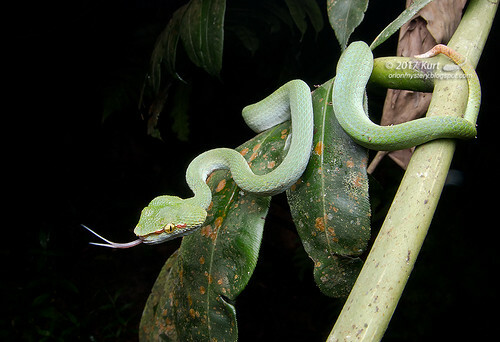 After one Malcolm's Pit Viper and two Mountain Pipe Snakes the nights before, I really wasn't expecting a Chasen's Mountain Pit Viper (Garthius chaseni). 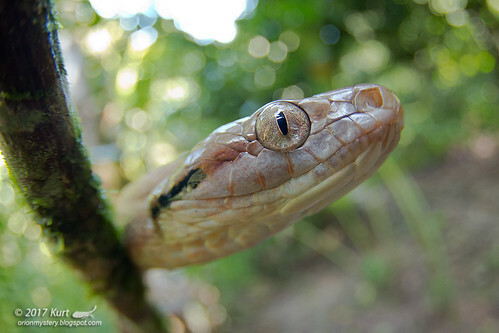 Up close with a Dog-toothed Cat Snake (Boiga cynodon) from the lowland forest of Sabah, Borneo. 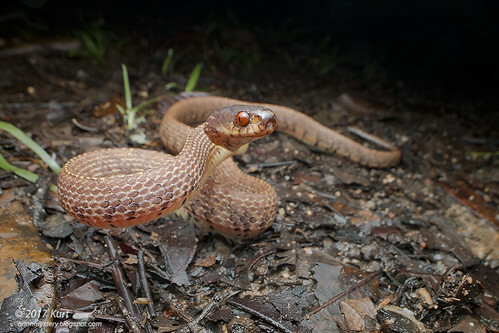 Cute little Brown Kukri Snake (Oligodon purpurascens) from the lowland forest of Peninsular Malaysia. Very bitey! 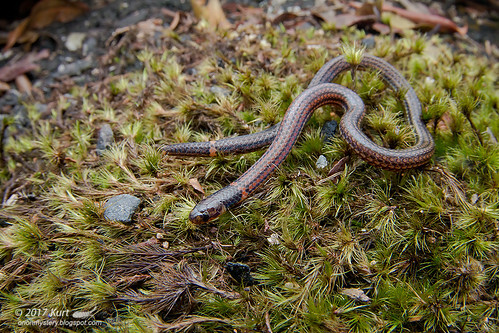 A rare gem we found on our first and second night of our Borneo Herp Tour at the montane forest of Sabah, Borneo (East Malaysia) - Mountain Dwarf Pipe Snake (Anomochilus monticola). 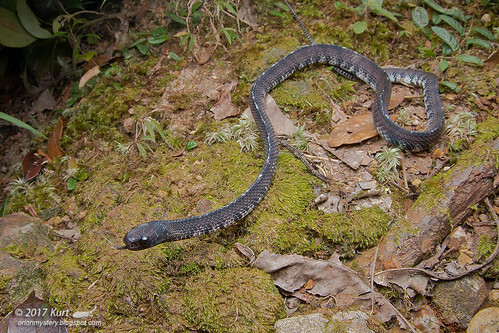 Jeweled Kukri Snake (Oligodon everetti), one of the many herps we found during the last Borneo Herp Tour in May 2017. 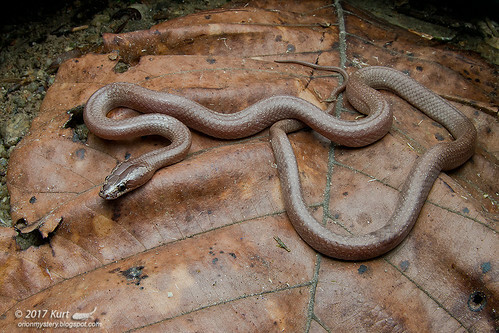 Brown Wolf Snake (Lycodon effraenis), lowland forest of Peninsular Malaysia. 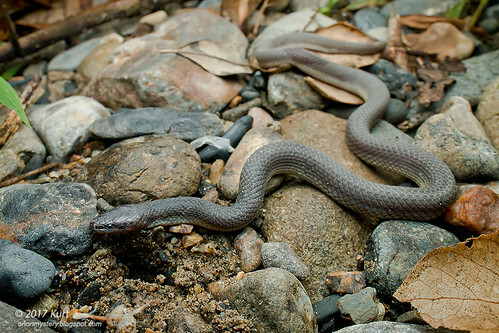 Lovely little Dwarf Water Snake (Opisthotropis typica) from the lowland stream of Poring, Sabah, Borneo (East Malaysia). 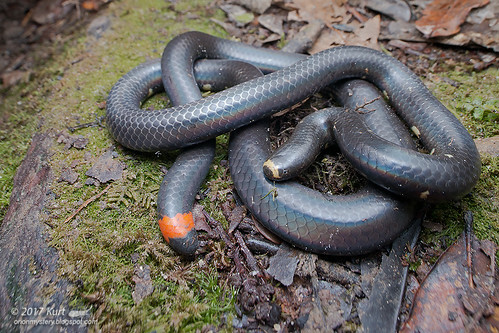 Beautiful black morph Dog-toothed Cat Snake (Boiga cynodon) from the lowland forest of Sabah, Borneo (East Malaysia). 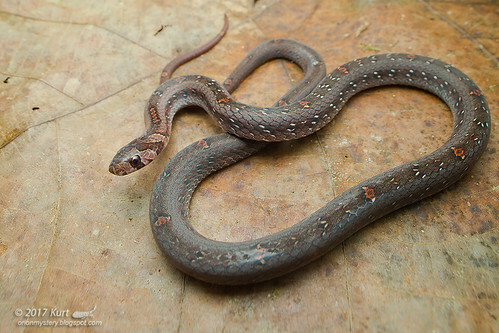 Cute little Spotted Ground Snake (Gongylosoma baliodeirus) from the lowland forest of Sabah, Borneo (East Malaysia). 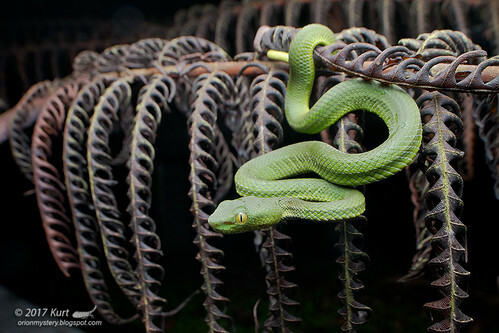 Absolutely gorgeous Malcolm's Pit Viper (Trimeresurus malcolmi) from the montane forest of Sabah, Borneo (East Malaysia). 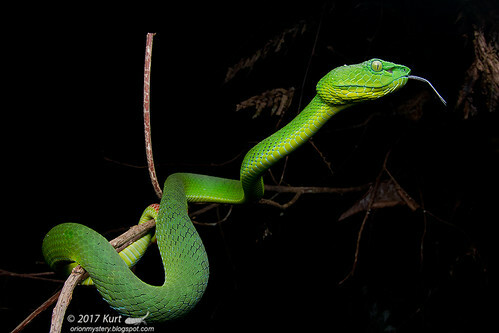 Spotted this stunner late one night during our last HerpTour Borneo back in May, 2017. Another Malcolm's Pitviper (Trimeresurus malcolmi), from our Nov 2017 herp tour. 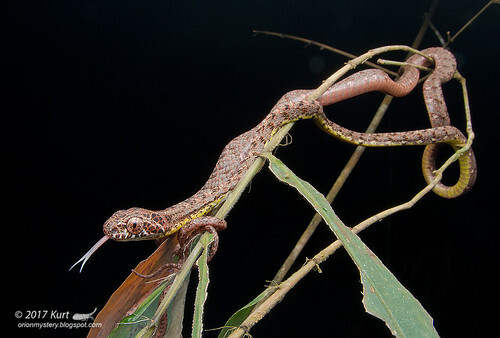 Cute little Malayan Slug-eating Snake / Dark-necked Slug Snake (Asthenodipsas malaccanus) doing a cobra impression . Lowland forest of Sabah, Borneo (East Malaysia). 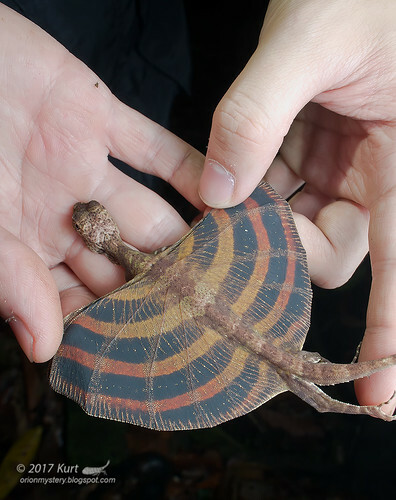 An unusual specimen we found one night. 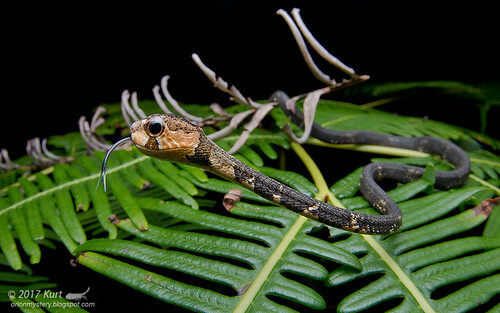 Adult male Wagler's Pit Viper (Tropidolaemus wagleri) without no red markings on him! Lowland forest of Peninsular Malaysia. 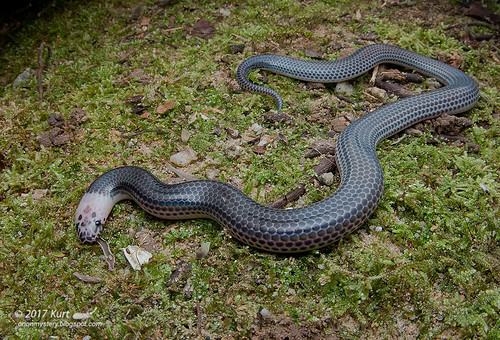 Beautiful Laotian Wolf Snake (Lycodon laoensis) from the lowland forest of northern Malaysia. A lifer too! 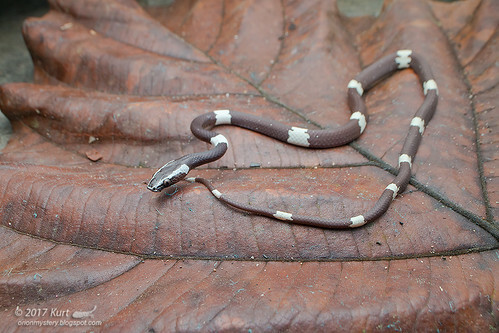 Pink-headed Reed Snake (Calamaria schlegeli) from the lowland forest of Sarawak, Borneo. 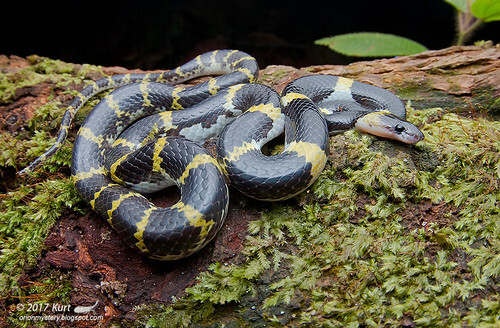 A really photogenic White-spotted Cat Snake (Boiga drapiezii) from the lowland forest of Selangor, Peninsular Malaysia. Beautiful girl we found one night. 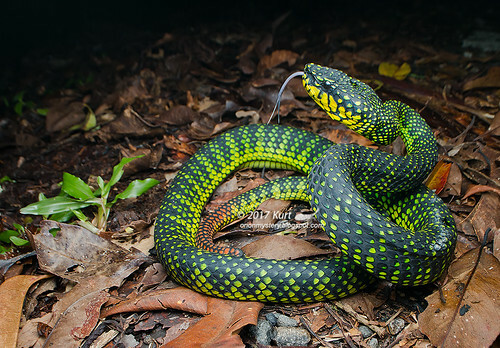 Female Wagler's Pit Viper (Tropidolaemus wagleri), Penang, Peninsular Malaysia. 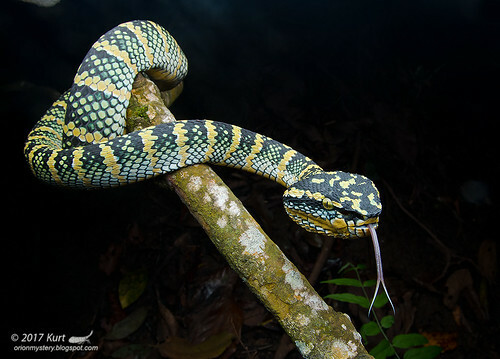 Juvenile female Siamese Peninsular Pit Viper (Trimeresurus fucatus) my guest and I found on our final night up on the highland of Pahang, Peninsular Malaysia. 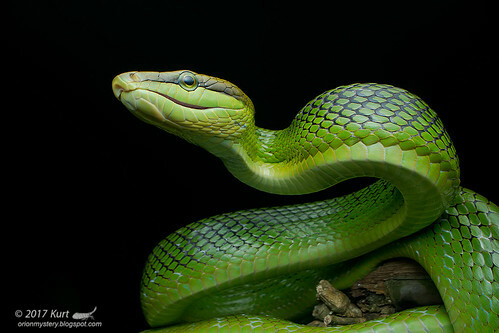 Up close with a big female Hagen's Pitviper (Trimeresurus hageni), lowland forest of Peninsular Malaysia. 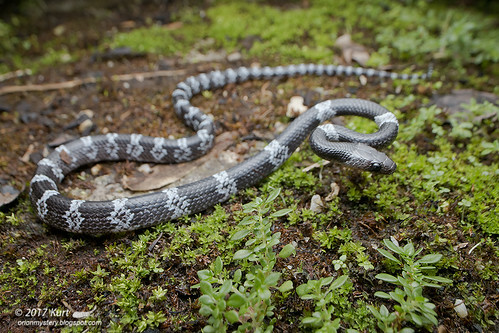 Cute but feisty little juvenile Scarce Wolf Snake/Dusky Wolf Snake (Lycodon effraenis) from the lowland forest, Peninsular Malaysia.The white bands resemble jigsaw puzzle pieces! Irresistibly cute little Vertebral Slug Snake (Asthenodipsas vertebralis) that we spotted crossing the road one rainy night, highland of Pahang, Peninsular Malaysia. 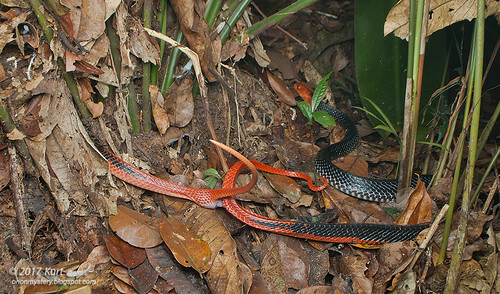 A mating pair of Red-headed Kraits (Bungarus flaviceps) after they were spooked by some wild animals. 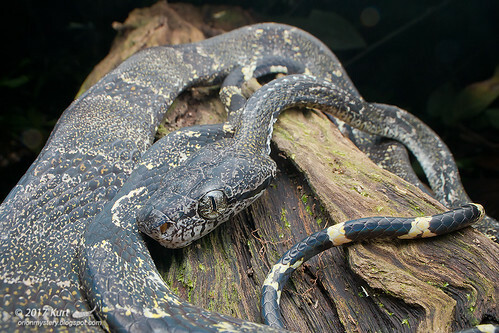 The male was the biggest krait I have ever seen. Truly an encounter of a lifetime. Doubt if I'll ever come across something like this again. Peninsular Malaysia. 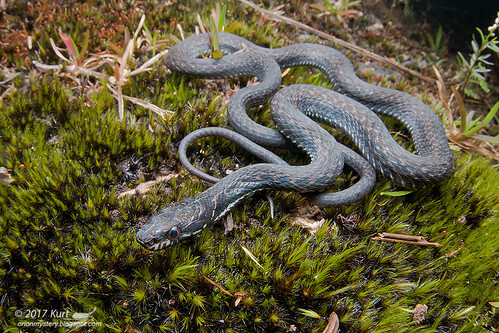 Gorgeous little Reed Snake (Macrocalamus gentingensis) I found in the rain, highland of Pahang, Peninsular Malaysia. Lovely, not-so-little, not-so-cooperative Reticulated Python (Python reticulatus) , Peninsular Malaysia. 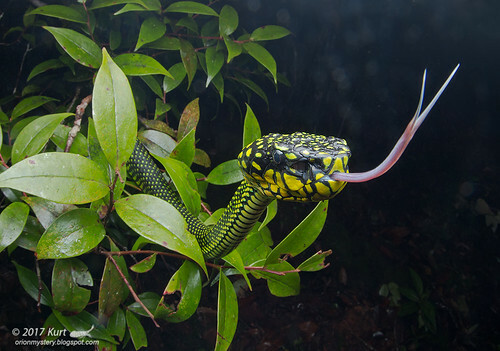 <3 br="" highlands="" malaysia.="" of="" pahang="" peninsular="">Cute little neonate Butler's Wolf Snake (Lycodon butleri) that put up a brave front and made a few strikes! My first lifer since July, 2016, a Mountain Pit Viper (Ovophis convictus), highland of Pahang, Peninsular Malaysia. 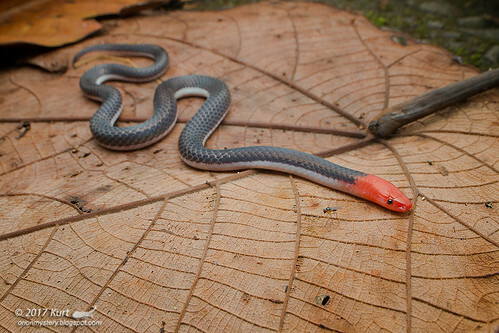 Cute little juvenile Sunbeam Snake (Xenopeltis unicolor) from the lowland forest of Peninsular Malaysia. 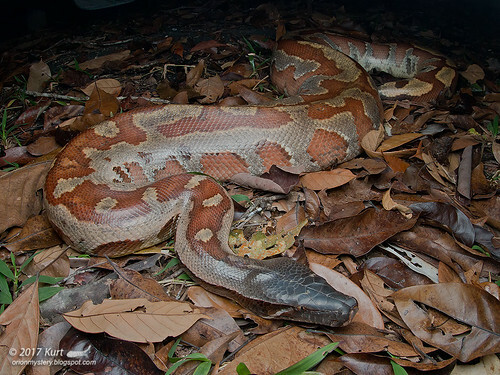 Blood Python (Python brongersmai) from Penang, Peninsular Malaysia. 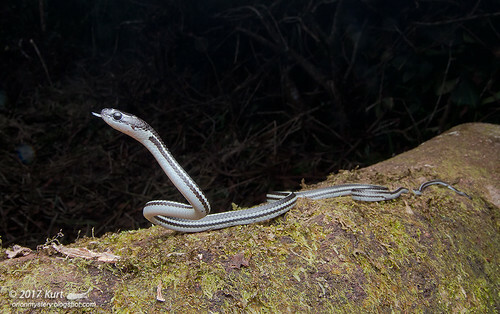 Collared Reed Snake (Calamaria pavimentata), Penang, Peninsular Malaysia. 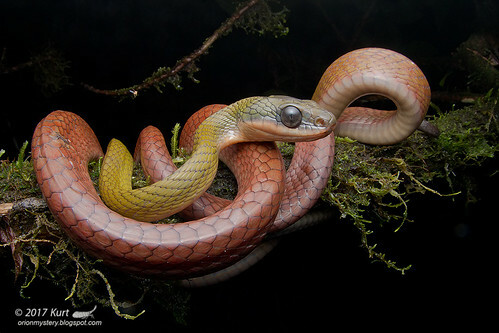 Blunt-head Slug Snake (Aplopeltura boa), Penang, Peninsular Malaysia. 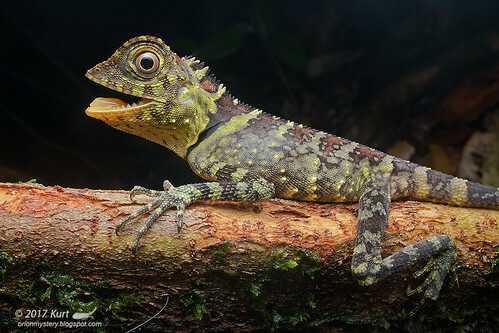 Up close with a Blue-eyed Anglehead Lizard (Gonocephalus liogaster), lowland forest of Sarawak, Borneo. 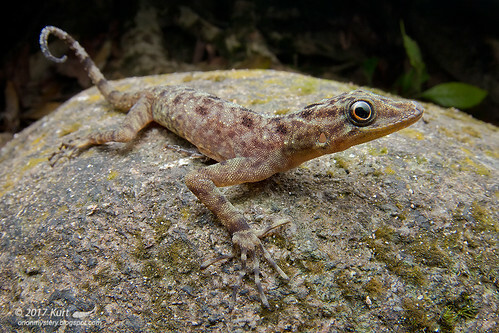 Peninsular Rock Gecko (Cnemaspis peninsularis) from the lowland forest of Peninsular Malaysia. 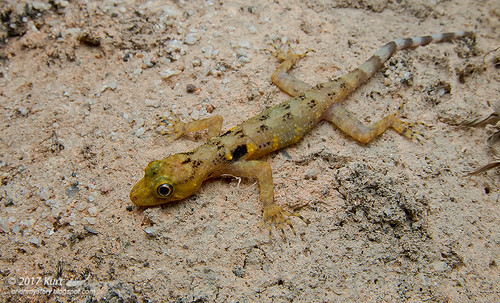 Stoliczka's Gecko, Pinang Island Rock Gecko (Cnemaspis affinis), Penang, Peninsular Malaysia. 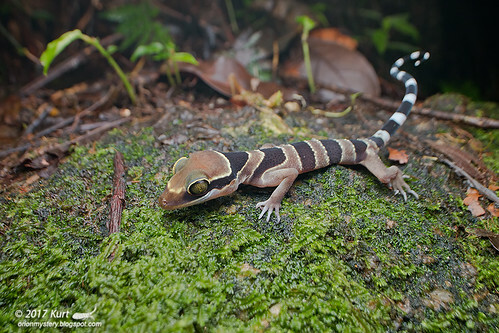 Five-banded Gliding Lizard (Draco quinquefasciatus), Poring, Sabah, Borneo (East Malaysia). 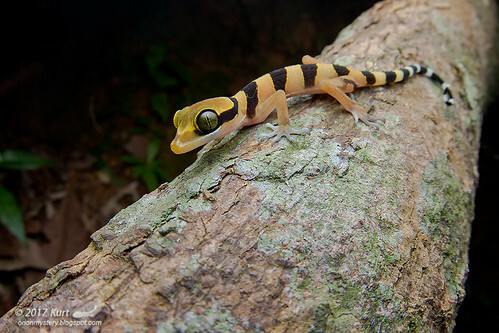 Beautiful Bintang Tinggi Bent-toed Gecko (Cyrtodactylus bintangtinggi) from the Bintang Range in the State of Perak, Peninsular Malaysia. You know it's going to be a great trip when you walk into the park during the day and immediately find a lifer gecko that you've been after for quite some time! 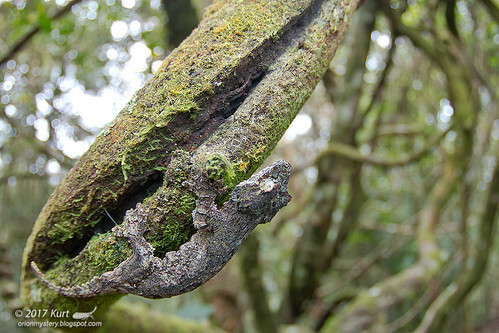 Check out this amazing Sabah Flying Gecko (Ptychozoon rhacophorus) from the highlands of Sabah, Borneo. 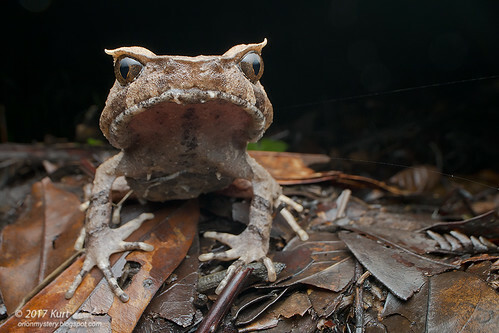 River Toad (Phrynoidis aspera), lowland forest of Peninsular Malaysia. 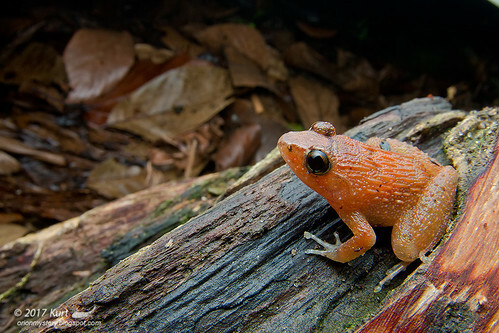 A female Rhinoceros Frog (Limnonectes plicatellus) from the lowland forest of Peninsular Malaysia. 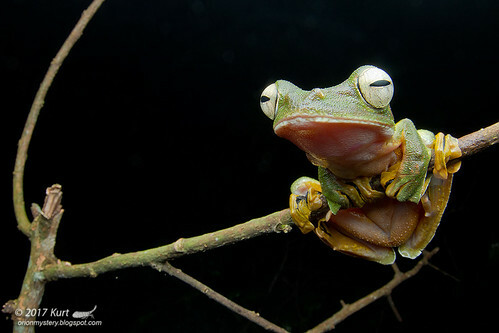 Wallace's Flying Frog (Rhacophorus nigropalmatus) from the lowland forest of Peninsular Malaysia. 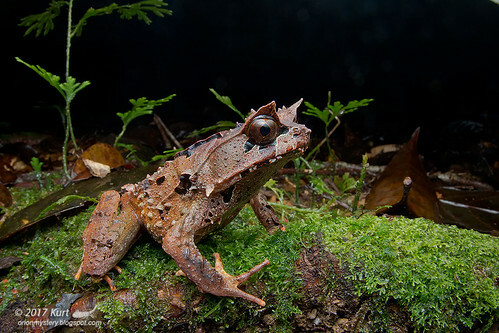 Malayan Horned Frog / Long-nosed Horned Frog / Malayan Leaf Frog (Megophrys nasuta), lowland forest of Selangor, Peninsular Malaysia. 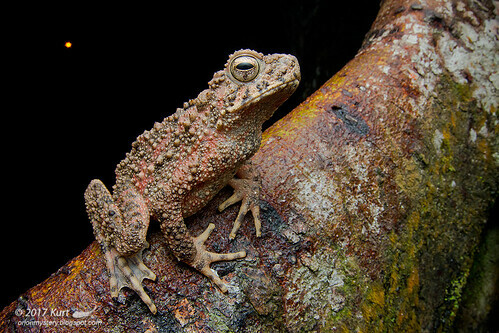 Kobayashi's Horned Frog (Megophrys kobayashii) from the highlands of Sabah, Borneo. 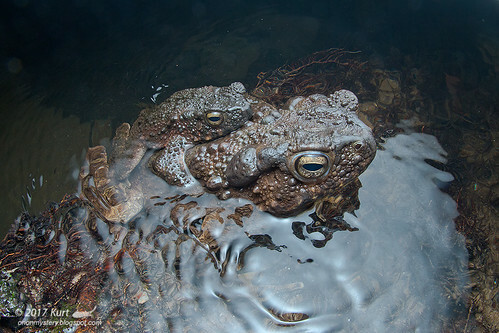 In-situ shot of a pair of River Toads (Phrynoidis aspera) in amplexus, lowland forest of Selangor, Peninsular. Good looking little frog - Black-spotted Rock Skipper (Staurois guttatus) from the lowland forest of Sarawak, East Malaysia (Borneo). 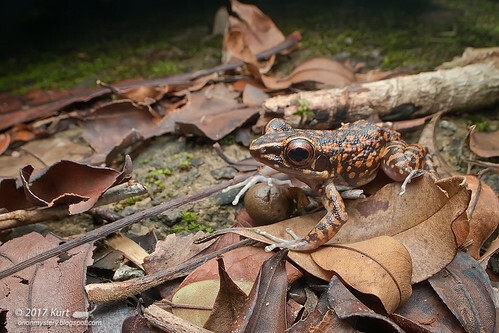 Spotted Stream Frog (Pulchrana picturata) from the lowland forest of Sarawak, Borneo. 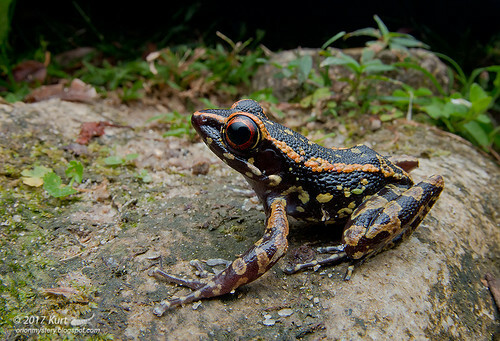 Striped Stream Frog (Pulchrana picturata) from Penang, Peninsular Malaysia. I think it should be called P. signata) instead! I spotted this lovely frog in a hole up on a slope! 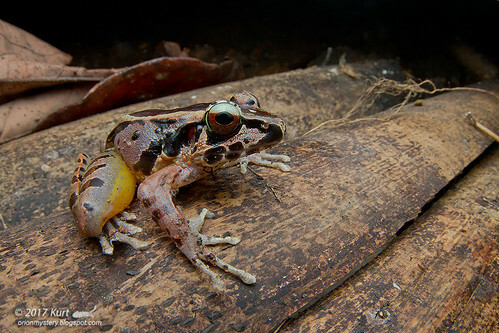 Hole-in-the-head Frog (Huia cavitympanum), from Poring, Sabah. 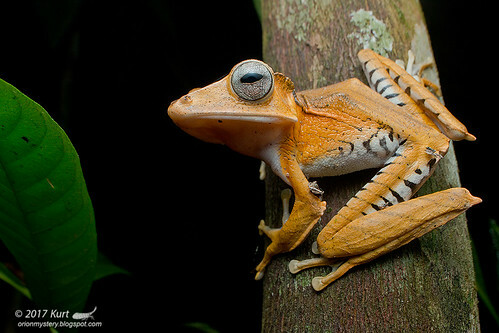 In-situ shot of a really handsome File-eard Tree Frog (Polypedates otilophus). 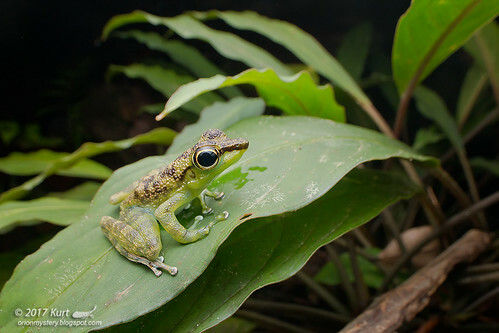 I love it when they pose naturally like this in typical tree frog pose! Lowland forest of Sarawak, Borneo (Malaysia). 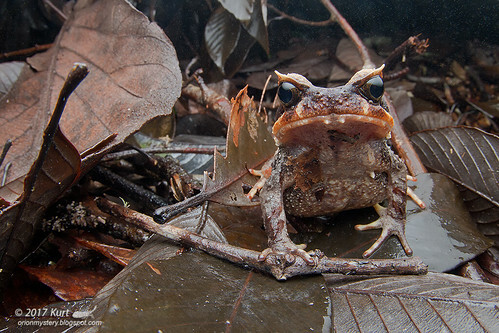 Poor man's Malayan Horned Frog - Perak Spadefoot Frog / Perak Horned Toad (Xenophrys aceras). He/she doesn't look too happy to see me. Highlands of Pahang, Peninsular Malaysia. 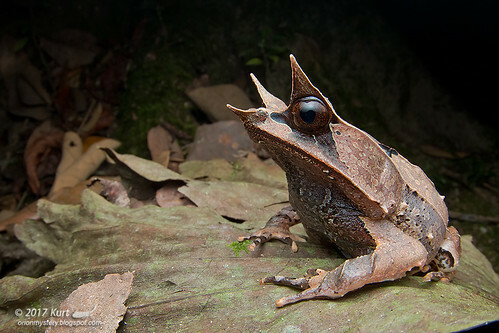 Poor man's horned frog! 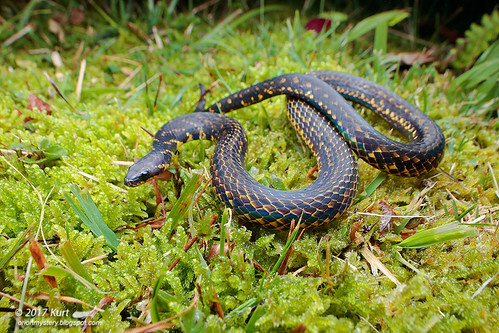 (Xenophrys baluensis) from the highlands of Sabah, Borneo. Too many of them! 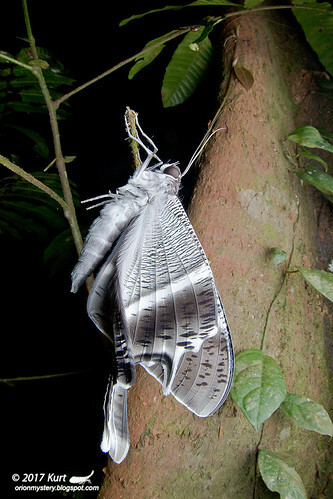 Newly eclosed Tropical Swallowtail Moth (Lyssa zampa), lowland forest of Peninsular Malaysia. 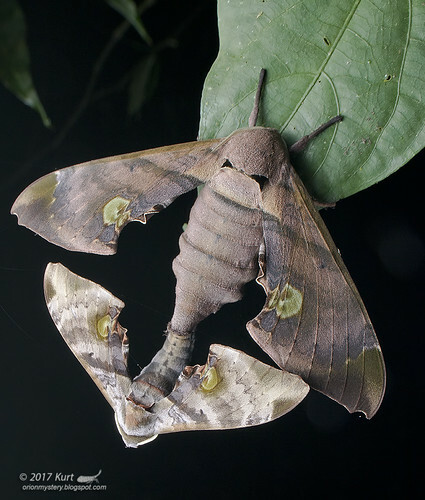 A mating pair of Sphingid moths - Daphnusa ocellaris, from the lowland forest of Selangor, Peninsular Malaysia. 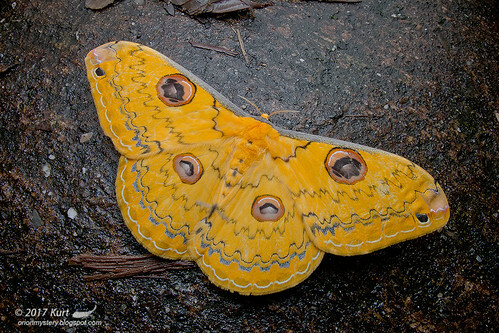 Golden Emperor Moth (Loepa martinii) from Sabah, Borneo. 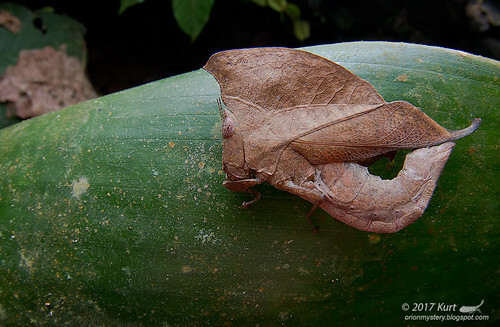 Dead-leaf Grasshopper, Chorotypus sp., truly amazing mimicry/camouflage. Peninsular Malaysia. A Fishing Spider (Nilus sp.?) 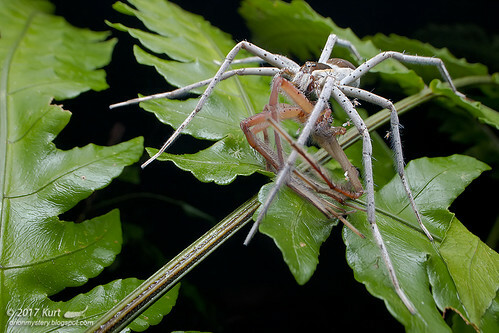 with unidentified spider prey, lowland rainforest of Peninsular Malaysia. 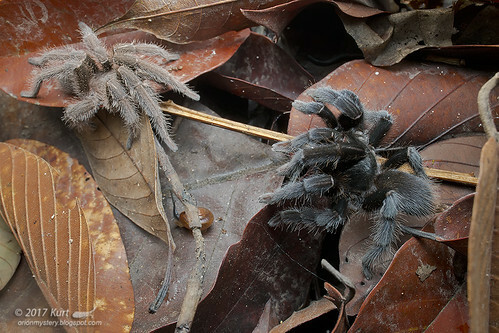 A male tarantula approaching a female. They eventually mated, and no one was eaten! 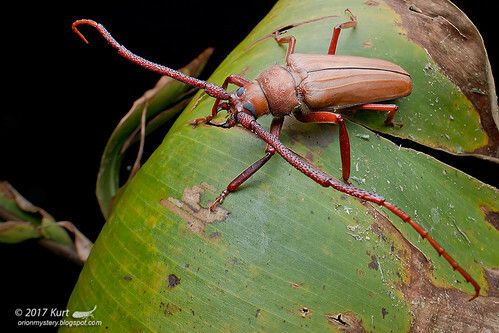 Selenocosmiinae, most likely Selenocosmia sp., lowland forest of Peninsular Malaysia. 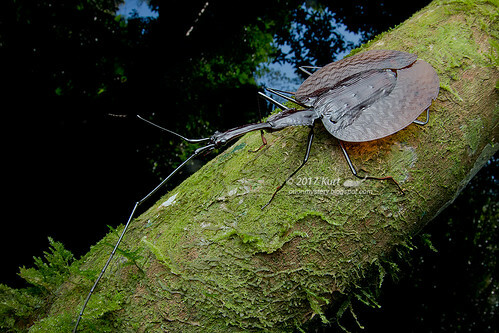 Check out this aptly named Violin Beetle (Mormolyce phyllodes borneensis) from the lowland forest of Sabah, Borneo. Only the second one I have ever seen! 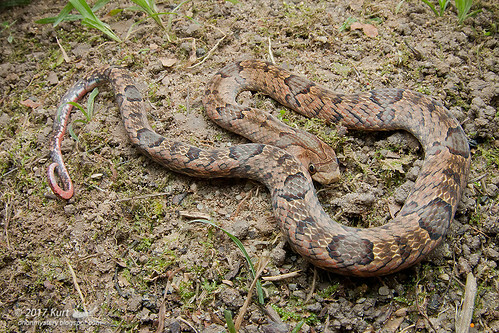 Wonderful critter you come across while looking for snakes! 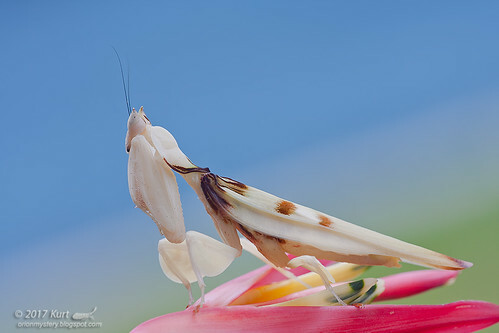 Adult female Orchid Mantis (Hymenopus coronatus). 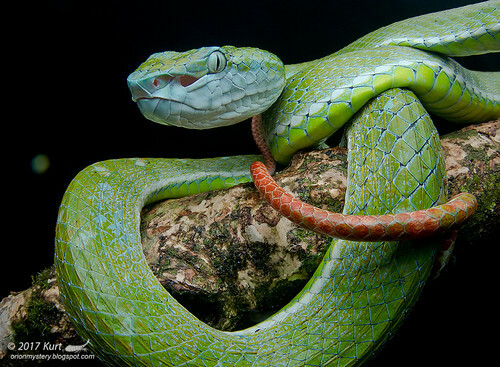 Definitely one of the most well known and most beautiful species in the world. Peninsular Malaysia. We took a break from herping and went to see the big flower instead. 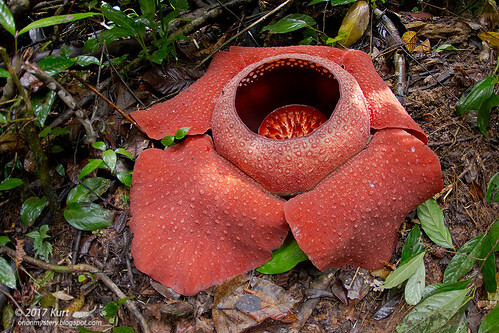 This majestic Rafflesia kerrii was into its forth day of bloom. Kelantan, Peninsular Malaysia.